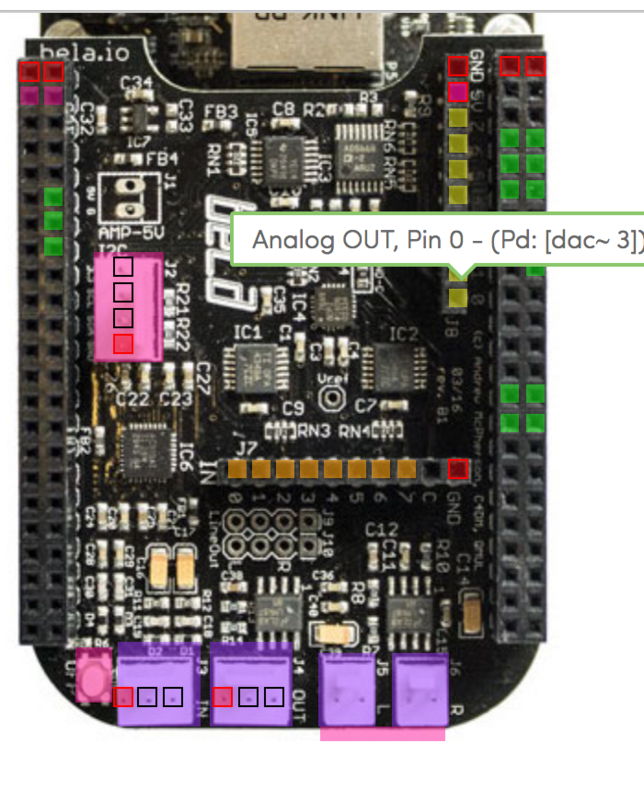 In Bela IDE pin diagram, under the pure data pins, it stands "adc~" for both digital and analog outs. Shouldn't it be "dac~" instead? Hmm, that is not the case on an up-to-date IDE: analog outs have "dac~ X" and digitals have "Pd digital: X". It seems indeed that it was the case in the past that analog outs would have the adc~ label, but this issue got fixed on Sat Feb 25 14:03:55 2017. 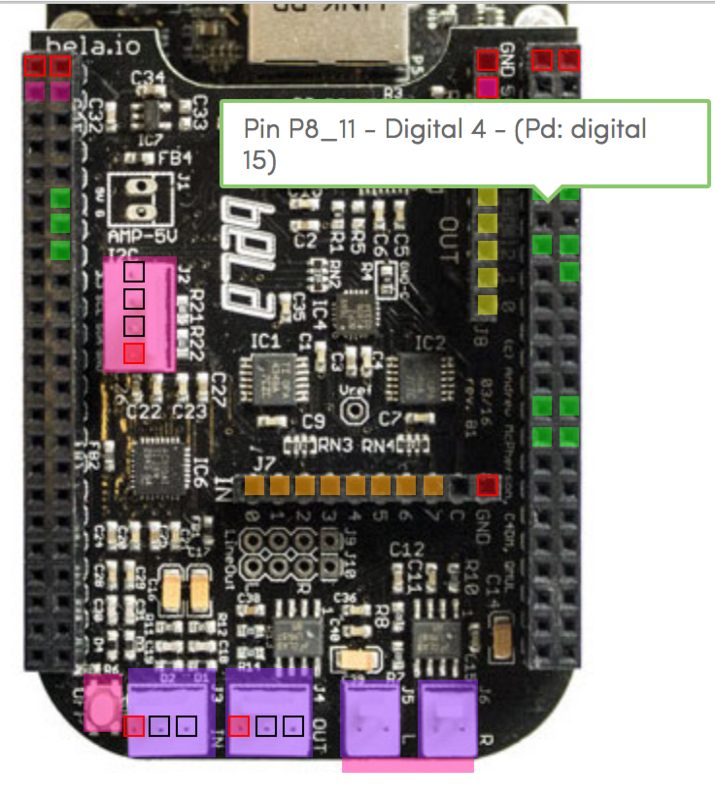 However, I cannot see any record of the "Pd digital" pins to ever have had an adc~ in there. Do you have a very old Bela image? You should probably take advantage of the new functionalities of the new image , but you can also just decide to update the core code instead.